15349.434 Catherine Henrietta 8 BIGELOW, dau of Lawson T. 7 ( Thomas 6 , Thomas 5 ( Jedediah 4, Samuel 3, Samuel 2, John 1) and Mary (HALL) BIGELOW, was born at Portland, Chatauqua, NY on 05 February 1846. Her marriage was to Henry Augustus Young on 07 February 1868. He was the son of Lyman and Mary ( ___ ) Young and born in July 1844 at Kingston, Ontario, Canada. 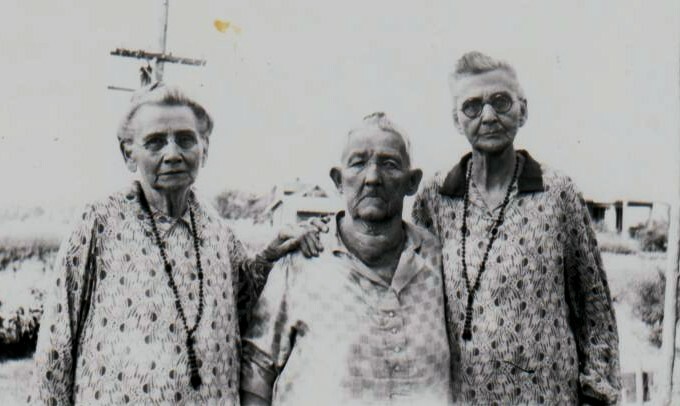 This family farmed near Beaver, MN where they died - Henry on 06 November 1918 and Catherine on 20 February 1926. Burial was in a farm cemetery 2 miles south of Beaver. 15349.4341 Harry Young, b 15 May 1869; d 29 Nov 1869 Beaver, Winona Co., MN. 15349.4342 Zoe Young, b 31 Dec 1871; d 22 Jan 1952 Westfield, NY; unm. 15349.4343 William Allen Young, b 23 Aug 1873; d 10 March 1956 Winona co.; m Mrs. Arva (___) Bullane. 15349.4344 Charles Gage Young, b 22 June 1874; d 23 Aug 1900 Beaver; unm. 15349.4345 Frances Mabel Young, b 26 Nov 1877; d 20 Aug 1959 Ogilvie, MN; m 18 Sept 1904 Arthur A. Newell. 15349.4346 James Garfield Young, a twin, b 08 Oct 1882; m 10 May 1923 Helen Brunner. 15349.4347 Jane "Jennie" Gertrude Young, a twin, b 08 Oct 1882. 15349.4348 Bernardine May Young, b 18 May 1888; d 16 Sept 1968 Rochester, MN; m 18 May 1941 Robert Train. additional records Bigelow Society from correspondence with family descendant.